We are of course all acutely aware of the horrendous and unforgivable acts which took place in Las Vegas a few days ago during which Stephen Paddock opened fire on a festival crowd, killing 59 people and wounding more than 500. As is often the case with such tragedies, there have been some heart warming stories to come out of the aftermath of the shooting and one of them shows just how much luck can play a part when the unthinkable is happening all around you. 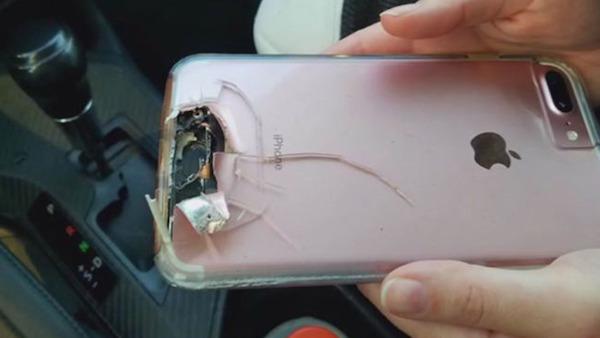 According to a report, one festival goer survived the shooting after a bullet hit her iPhone, allowing her to walk away unscathed. As you might imagine from a device that is made of glass and metal, the iPhone itself did not fare too well after it took the full force of a bullet travelling from the shooter’s weapon, but that is a small price to pay for being able to walk away from such a terrible scene. It’s unknown who the person was, but she was picked up by a taxi driver after the incident, telling him of her lucky escape in the process. This is not the first time that a smartphone or other piece of personal technology has saved someone’s life. Over the years there have been other phones and even iPods and MacBooks which have found themselves being used as accidental bulletproof shields. When Jony Ive and his team designs an iPhone, we somehow doubt that bullet resistance is part of the requirement, but we sure are pleased that someone was able to survive this horrendous act at all, regardless of how they achieved it. yeah but did it bend?